Ok, ok, you got me. 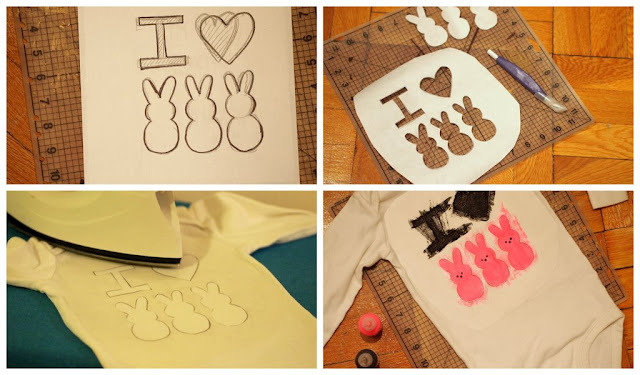 I have a thing for freezer paper stenciling... but it's just so easy to make cute, customizable shirts for the holidays. Hooray! Now Chuck has something to wear for Easter. :) Steal away and enjoy. Thanks Lisa! Hope E and J like it.